American Motors legendary "Group 19" performance parts. 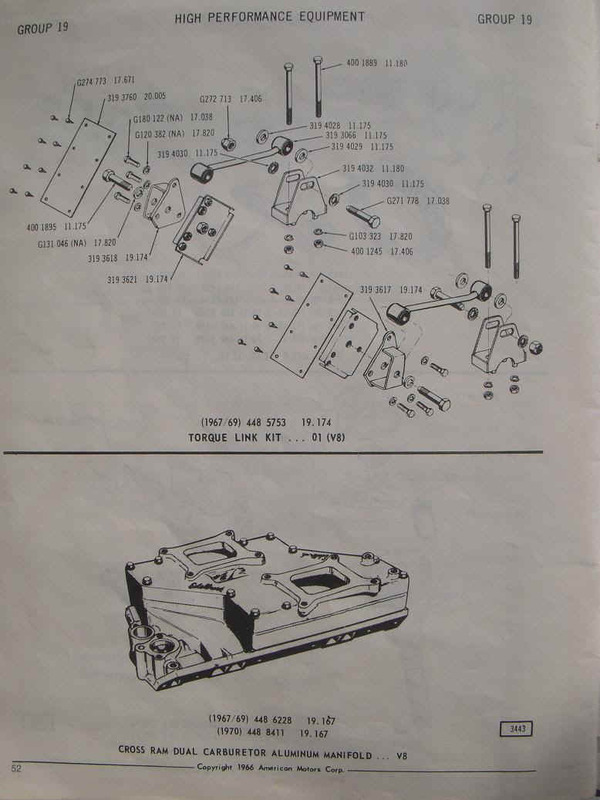 Some AM Part Numbers are superceded. 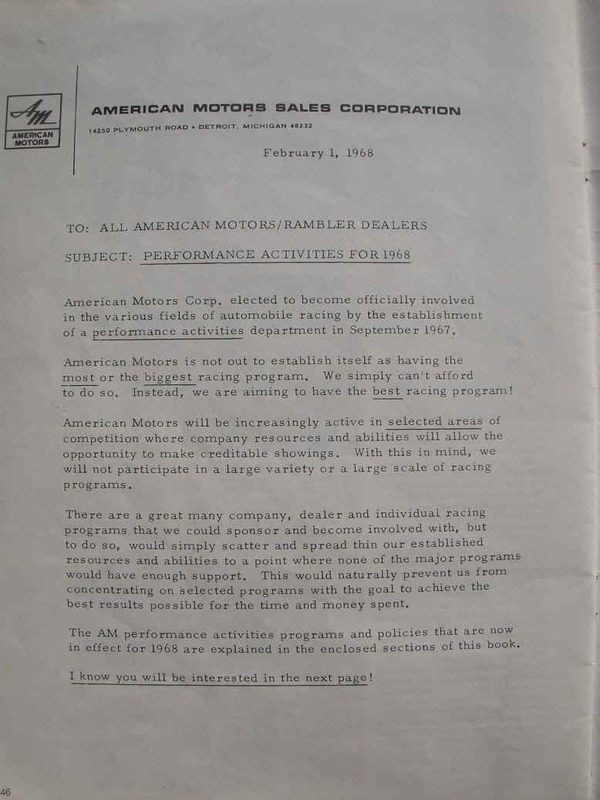 Carl Chakmakian, AMC's Performance Director, enthusiasm and excitement are infectious in the memo to AM Dealers. 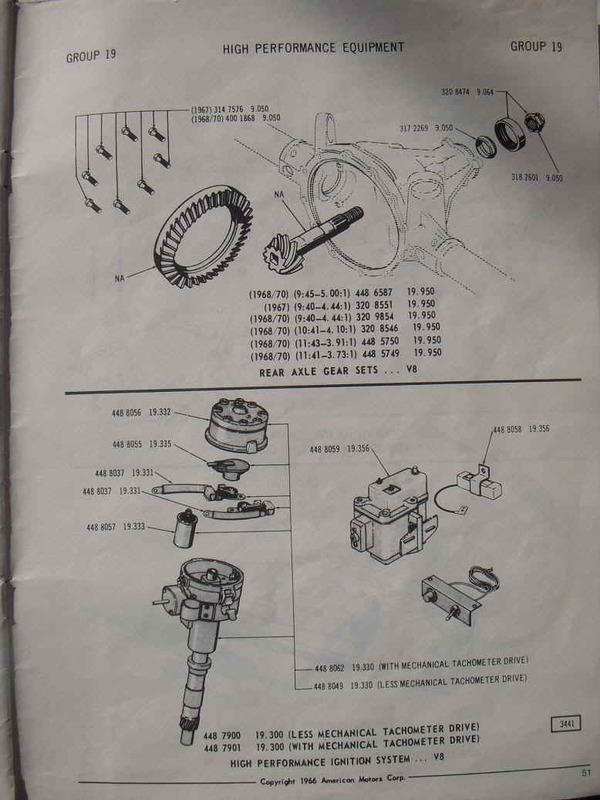 Most, if not all, Group 19 parts would disappear from Dealer catalogs by 1974. 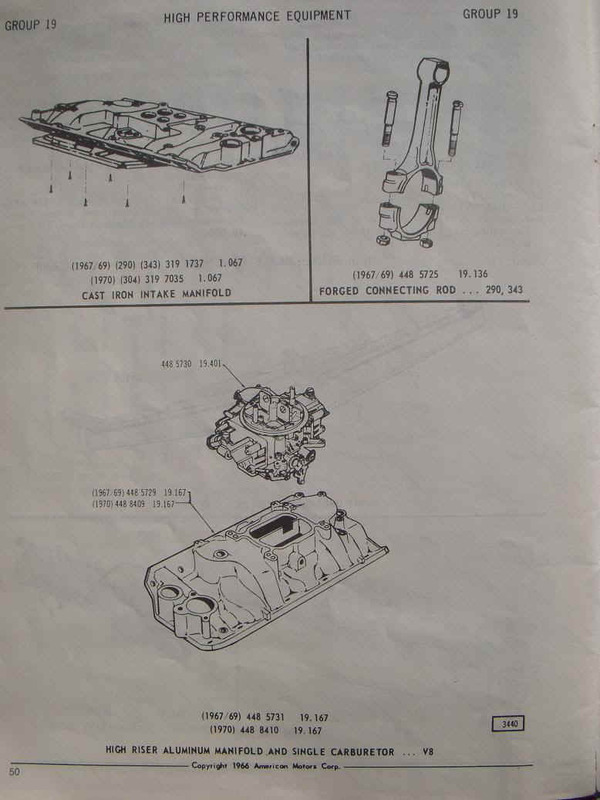 Dealer Parts Books would still have a file for Grou9 19, just nothing in it. Most Group 19 parts command high dollar, even in the 1980s rarely would one see any of these uber rare items for sale, even at big national AMC meets. 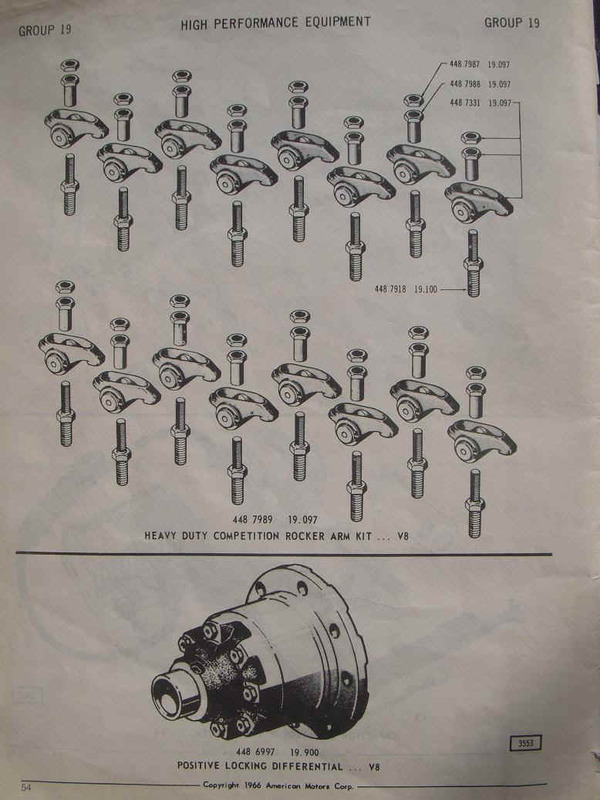 The Holy Grail of these is the 'forged' 290 crankshaft, made by Holmes Foundry in Sarnia, Ontario, Canada who also produced AMC blocks and rods for Kenosha. 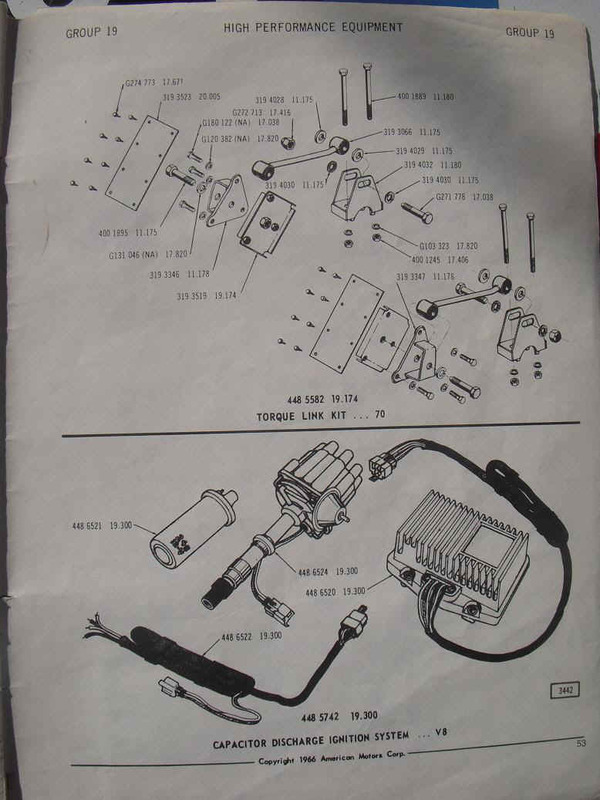 Also on same list woul dbe the Mallory Ignition System shown. Have seen 4 for sale in 35+ years. 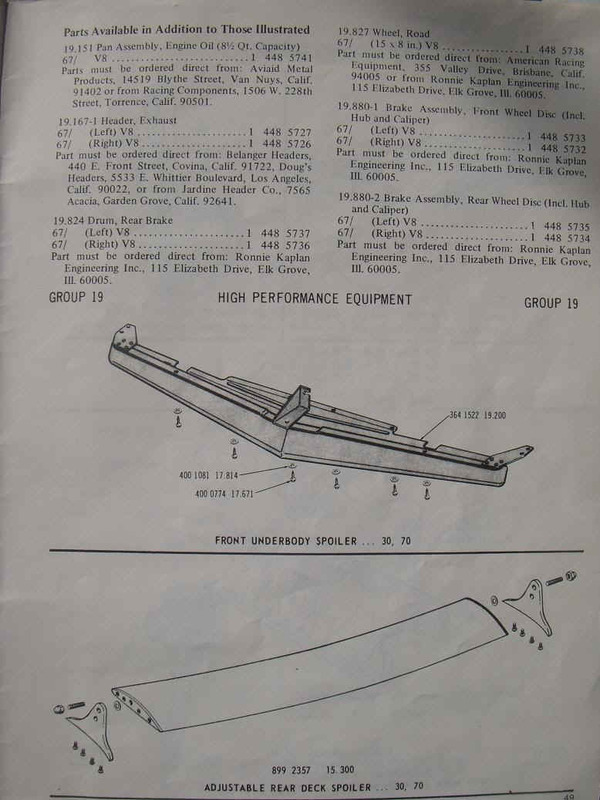 The 'rear adjustable rear wing' spoiler has been reproduced and can be had in the $300-$400 range new. The front fiberglass spoiler I sell, made in Houston, TX, and usually only 5-10 per year produced. . The Edlebrock STR-11 cross ram intake occasionally pops up on ebay or national AMC meets, note that most are aluminum welded together as no one (so far as I know) has even been able to fix the pooling of gas problem in those, and if backfire, you lose top of crossram and usually hood when explode. Still a uber rare piece of AMC eye candy. 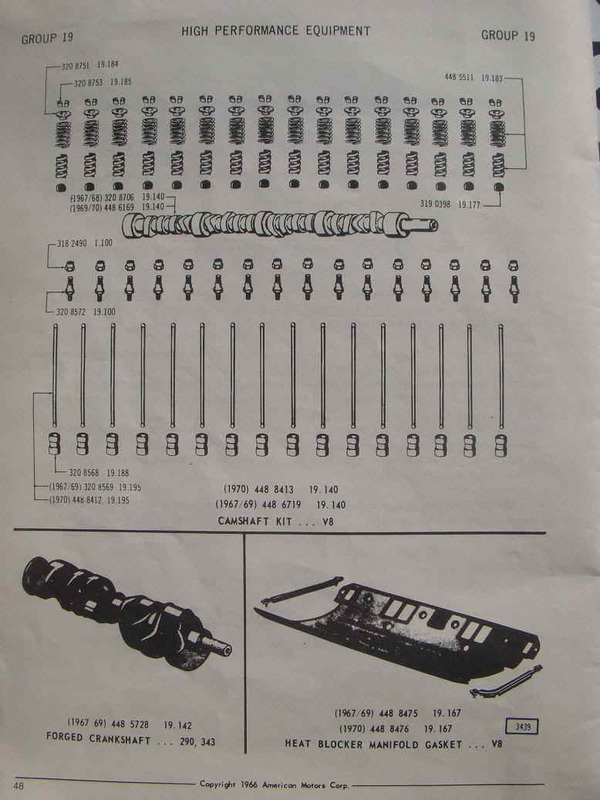 The torq links, repro rubbers available for them from some of the major AMC VENDORS. 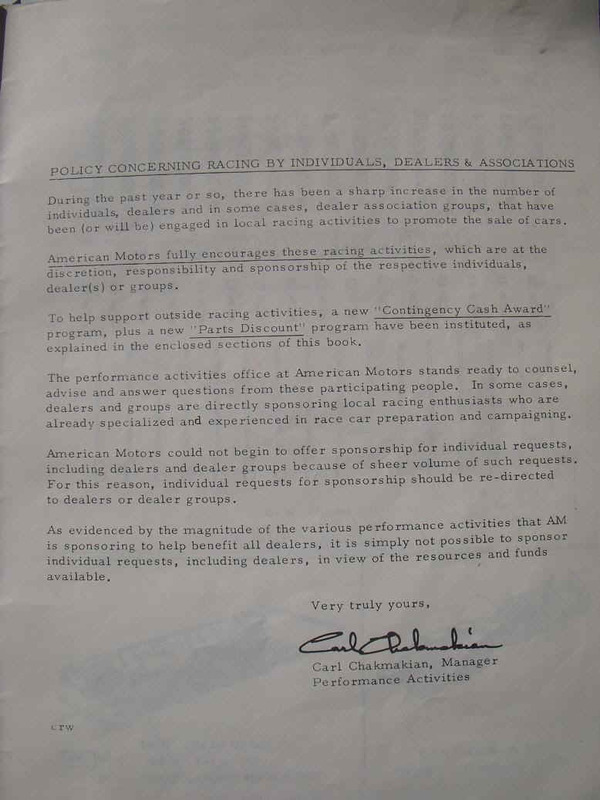 Here are American Motors Group 19 sheets from 1966. Printable.